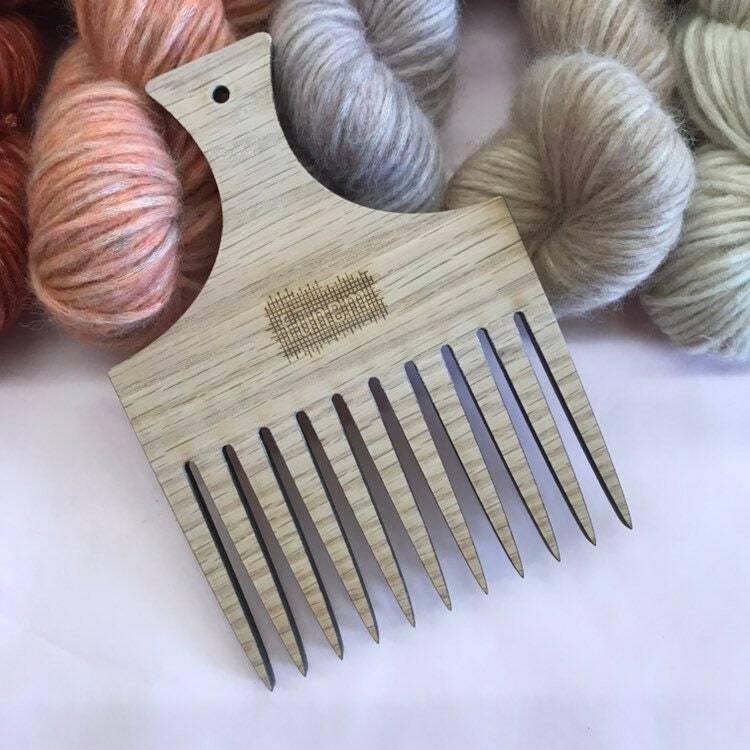 Discover our new handmade XL Weaving Comb, which is perfect for big weaves and/or combing down roving. Each comb is made in our studio in Antwerp, using a lasercutter, out of 6mm Red Oak hardwood, and sanded by hand. Please note that these combs need to be used gently, they are not designed to use as a beater. We offer tapestry beaters in the shop too.